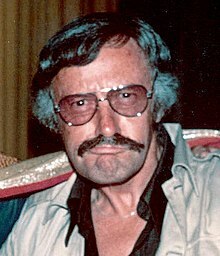 Stan Lee (born Stanley Martin Lieber /ˈliːbər/; December 28, 1922 – November 12, 2018) was an American comic book writer, editor, publisher, and producer. He rose through the ranks of a family-run business to become Marvel Comics' primary creative leader for two decades, leading its expansion from a small division of a publishing house to a multimedia corporation that dominated the comics industry. 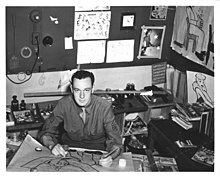 In collaboration with others at Marvel—particularly co-writer/artists Jack Kirby and Steve Ditko—he co-created numerous popular fictional characters, including superheroes Spider-Man, the X-Men, Iron Man, Thor, the Hulk, the Fantastic Four, Black Panther, Daredevil, Doctor Strange, Scarlet Witch and Ant-Man. In doing so, he pioneered a more naturalistic approach to writing superhero comics in the 1960s, and in the 1970s he challenged the restrictions of the Comics Code Authority, indirectly leading to changes in its policies. In the 1980s he pursued development of Marvel properties in other media, with mixed results. 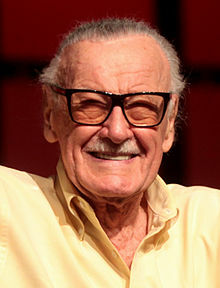 Following his retirement from Marvel in the 1990s, he remained a public figurehead for the company, and frequently made cameo appearances in films and television shows based on Marvel characters, on which he received an executive producer credit. Meanwhile, he continued independent creative ventures into his 90s, until his death in 2018. Lee had cameo appearances in many Marvel film and television projects, including those within the Marvel Cinematic Universe. A few of these appearances are self-aware and sometimes reference Lee's involvement in the creation of certain characters. He had completed the filmed footage for his cameo in the upcoming films Captain Marvel and Avengers: Endgame prior to his death. ↑ Johnson, Ian (December 2, 2018). "Watch Marvel Comics legend Stan Lee impersonate his wife's Geordie accent". Chronicle. Newcastle: Chronicle Live. Retrieved December 2, 2018. ↑ Lewine. "Image 8". Archived from the original on April 24, 2009. Retrieved April 27, 2010. ↑ "Pow! Entertainment Releases a Message from Its Chairman Stan Lee" (Press release). POW! Entertainment. September 28, 2012. Archived from the original on January 22, 2013. Retrieved February 6, 2013. ↑ "Marvel Comics' Stan Lee wins renewed protection against alleged elder abuse". The Guardian. Reuters. August 18, 2018. Retrieved November 12, 2018. ↑ Almanac, World (September 1986). The Celebrity Who's Who – World Almanac. p. 213. ISBN 978-0-345-33990-4. Retrieved August 13, 2013. 1 2 Lewine. "Image 2". Archived from the original on April 24, 2009. Retrieved April 27, 2010. ↑ Kugel, Allison (March 13, 2006). "Stan Lee: From Marvel Comics Genius to Purveyor of Wonder with POW! Entertainment". PR.com. Archived from the original on June 11, 2011. Retrieved May 28, 2011. ↑ Sedlmeier, Cory, ed. (March 7, 2012). Marvel Masterworks: The Incredible Hulk Volume 2. Marvel Comics. p. 244. ISBN 978-0-7851-5883-7. ↑ Batchelor, Bob (2017). Stan Lee : The Man Behind Marvel. p. 13. ISBN 978-1-4422-7781-6. ↑ "Stan Lee Foundation official site". Retrieved May 15, 2017. ↑ "Inventory of the Stan Lee Papers, 1942–2001". University of Wyoming. 2007. Retrieved March 14, 2014. ↑ Ryder, Taryn (November 27, 2018). "Stan Lee's cause of death revealed". Yahoo! News. Retrieved November 28, 2018. ↑ Couch, Aaron (November 13, 2018). "Marvel Veteran Recalls His Final Saturday With Stan Lee". The Hollywood Reporter. Retrieved November 14, 2018. ↑ "I Let People Do Their Jobs! ': A Conversation with Vince Fago—Artist, writer, and Third Editor-in-Chief of Timely/Marvel Comics". Alter Ego. 3 (11). Raleigh, North Carolina: TwoMorrows Publishing. November 2001. Archived from the original on November 25, 2009. ↑ "Interview with Stan Lee (Part 1 of 5)". IGN FilmForce. June 26, 2000. Archived from the original on January 15, 2015. ↑ Sanderson, Peter (2008). "1940s". In Gilbert, Laura. Marvel Chronicle A Year by Year History. London, United Kingdom: Dorling Kindersley. p. 19. ISBN 978-0-7566-4123-8. Joe Simon and Jack Kirby's assistant Stanley Lieber wrote his first story for Timely, a text story called 'Captain America Foils the Traitor's Revenge'. It was also his first superhero story, and the first work he signed using his new pen name of Stan Lee. ↑ "The 'Amazing Fantastic Incredible' life of Stan Lee, now in comic form". www.mprnews.org. 1 2 3 Thomas, Roy (2006). Stan Lee's Amazing Marvel Universe. New York: Sterling Publishing. ISBN 978-1-4027-4225-5. With the speed of thought, he sent his shield spinning through the air to the other end of the tent, where it smacked the knife out of Haines' hand!" It became a convention starting the following issue, in a Simon & Kirby's comics story depict the following: "Captain America's speed of thought and action save Bucky's life—as he hurls his shield across the room. ↑ Boatz, Darrel L. (December 1988). "Stan Lee". Comics Interview (64). Fictioneer Books. pp. 5–23. ↑ Batchelor, Bob (2017). Stan Lee : The Man Behind Marvel. Royman & Littlefield. p. 37. ISBN 9781442277816. ↑ Batchelor, Bob (2017). Stan Lee: The Man Behind Marvel. Lanham, Maryland: Rowman & Littlefield. p. 41. ISBN 9781442277816. ↑ Heintjes, Tom (2009). "Everybody's Friend: Remembering Stan Lee and Dan DeCarlo's My Friend Irma". Hogan's Alley (16). Archived from the original on October 13, 2013. ↑ Kaplan, Arie (2006). Masters of the Comic Book Universe Revealed!. Chicago Review Press. p. 50. ISBN 978-1-55652-633-6. ↑ McLaughlin, Jeff; Stan Lee (2007). Stan Lee: Conversations. Jackson, Mississippi: University Press of Mississippi. p. 138. ISBN 978-1-57806-985-9. ↑ DeFalco "1960s" in Gilbert (2008), p. 86: "Stan Lee and Jack Kirby reintroduced one of Marvel's most popular Golden Age heroes – Namor, the Sub-Mariner." ↑ DeFalco "1960s" in Gilbert (2008), p. 99: "'Captain America lives again!' announced the cover of The Avengers #4...Cap was back." ↑ Batchelor, Bob (2017). Stan Lee: The Man Behind Marvel. Lanham, Maryland: Rowman & Littlefield. p. 73. ISBN 978-1-4422-7781-6. ↑ Sanderson, Peter (October 10, 2003). "Continuity/Discontinuity". Comics in Context (column) No. 14, IGN. Archived from the original on July 21, 2011. ↑ Cronin, Brian (September 18, 2010). "A Year of Cool Comics – Day 261". Comic Book Resources. Archived from the original on November 23, 2010. Retrieved September 29, 2010. ↑ DeFalco "1960s" in Gilbert (2008), p. 111: "The Inhumans, a lost race that diverged from humankind 25,000 years ago and became genetically enhanced." ↑ Cronin, Brian (February 19, 2010). "A Year of Cool Comics – Day 50". Comic Book Resources. Archived from the original on May 4, 2010. Retrieved September 29, 2010. 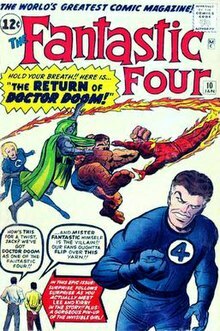 ↑ DeFalco "1960s" in Gilbert (2008), p. 115: "Stan Lee may have started the creative discussion that culminated in Galactus, but the inclusion of the Silver Surfer in Fantastic Four #48 was pure Jack Kirby. Kirby realized that a being like Galactus required an equally impressive herald." ↑ Daniels, pp. 152 and 154: "As a result of Marvel's successful stand, the Comics Code had begun to look just a little foolish. Some of its more ridiculous restrictions were abandoned because of Lee's decision." ↑ van Gelder, Lawrence (February 4, 1971). "A Comics Magazine Defies Code Ban on Drug Stories; Comics Magazine Defies Industry Code". The New York Times. p. 37. ↑ Catron, Michael (August 1981). "Silver Surfer Special Set". Amazing Heroes (3): 17. 1 2 3 "Stan Lee Sues Marvel…And Wins!". Bob Batchelor. Retrieved November 14, 2018. ↑ SEC Litigation Release No. LR-18828, August 11, 2004. ↑ United States Attorney's Office (March 8, 2005). "Peter Paul, Co-founder of Stan Lee Media, Inc., Pleads Guilty to Securities Fraud Fraud Scheme Caused $25 Million in Losses to Investors and Financial Institutions". press release. Archived from the original on March 11, 2005. Retrieved July 31, 2011. ↑ Witt, April (October 9, 2005). "House of Cards". The Washington Post. p. W10. Archived from the original on October 27, 2011. ↑ "Stan Lee, legendary Marvel Comics creator, is dead at 95". Retrieved November 14, 2018. ↑ "Ringo Starr to become superhero". BBC News. August 6, 2004. Archived from the original on October 16, 2013. ↑ Lee in Lovece, Frank (April 1, 2007). "Fast Chat: Stan Lee". Newsday. Archived from the original on December 7, 2010. Retrieved September 15, 2015. 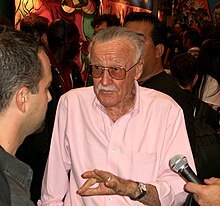 ↑ "Stan Lee Launches New Online Comic Venture". Canadian Broadcasting Corporation. August 6, 2004. Archived from the original on August 10, 2004. ↑ Heffernan, Virginia (August 3, 2006). "'Who Wants to Be a Superhero? ': Misfits Just Want to Save the World". The New York Times. ↑ "Marvel Sued for $5 Billion". Library Journal. March 21, 2007. Archived from the original on April 7, 2015. Retrieved February 6, 2016. ↑ "June 9: Stan Lee Media, Inc. Files Expected Lawsuit Against Stan Lee". TheComicsReporter.com. Archived from the original on February 14, 2012. Retrieved September 22, 2007. ↑ Lee, Stan (2008). Election Daze: What Are They Really Saying?. Filsinger Publishing. p. 96. ISBN 978-0-9702631-5-5. ↑ "Stan Lee Launching Legion of 5". ComingSoon.net. April 16, 2008. Archived from the original on January 16, 2014. Retrieved April 16, 2008. ↑ Boucher, Geoff (April 19, 2008). "Stan Lee to oversee Virgin Comics' superheroes". Los Angeles Times. Archived from the original on May 2, 2008. ↑ "Stan Lee 'to create world's first gay superhero'". The Daily Telegraph. January 14, 2009. Archived from the original on March 7, 2014. ↑ "Skyscraperman". skyscraperman.com. Archived from the original on March 14, 2014. ↑ "NHL, Spider-Man creator Stan Lee join on new superheroes project". National Hockey League. October 7, 2010. ↑ Langshaw, Mark (August 2, 2010). "Stan Lee backs Eagle Initiative". Digital Spy. Archived from the original on June 17, 2013. Retrieved November 17, 2011. ↑ Kepler, Adam W. (October 16, 2011). "Monsters v. Kittens". The New York Times. Archived from the original on October 27, 2011. Retrieved October 27, 2011. ↑ Moore, Matt (October 14, 2011). "Stan Lee's got a new universe, and it's for kids". Associated Press/MSNBC. Archived from the original on October 27, 2011. Retrieved October 27, 2011. ↑ "Disney Publishing Worldwide Announces New Zodiac-Based Book with Comics Legend Stan Lee" (Press release). November 2, 2013. Archived from the original on November 6, 2013. ↑ Frater, Patrick (February 27, 2013). "Josephson joins Annihilator". Film Business Asia. Archived from the original on November 10, 2013. Retrieved February 27, 2013. ↑ Mitchell, Aric (February 21, 2013). "Stan Lee's Annihilator: Chinese Superhero Coming To Big Screen". The Inquisitr. Archived from the original on November 10, 2013. Retrieved February 27, 2013. ↑ Konow, David (February 25, 2013). "Stan Lee is back with Annihilator". TG Daily. Archived from the original on November 10, 2013. Retrieved February 27, 2013. ↑ Cowsill, Alan (2010). "2000s". In Dolan, Hannah. DC Comics Year By Year A Visual Chronicle. London, United Kingdom: Dorling Kindersley. p. 300. ISBN 978-0-7566-6742-9. It was quite a coup. 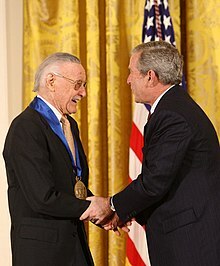 Stan "The Man" Lee...swapped sides to write for DC. Teaming up with comicdom's top artists, Lee put his own unique take on DC's iconic heroes. ↑ "NYCC 08: Stan Lee Dives into Manga". IGN. April 4, 2008. Archived from the original on February 19, 2014. Retrieved April 8, 2008. ↑ "Stan Lee, Bones Confirmed to be Working on Hero Man". Anime News Network. April 10, 2008. Archived from the original on October 20, 2013. Retrieved March 9, 2010. ↑ "Stan Lee & Bones' Heroman Anime Now in Production". Anime News Network. October 6, 2009. Archived from the original on June 4, 2011. Retrieved March 9, 2010. ↑ Hetrick, Adam (January 4, 2011). "Stan Lee Encouraged by Spider-Man; New Projects on the Horizon". Playbill. Archived from the original on August 1, 2011. Retrieved July 31, 2011. ↑ "Stan Lee: Marvel Legends". OAFE.net. Archived from the original on February 14, 2014. Retrieved April 27, 2010. ↑ Duke, Alan (April 11, 2012). "Stan Lee launches his own comic convention". CNN. Archived from the original on August 15, 2012. ↑ McLaughlin, Jeff (2007). Stan Lee: Conversations. Jackson, Mississippi: University Press of Mississippi. p. Chronology xvii. ISBN 978-1578069859. ↑ Cassell, Dewey (October 2010). "One Day at a Time: The Amazing Spider-Man Newspaper Strips". Back Issue! (44): 63–67. Lee has penned The Amazing Spider-Man newspaper strip since the beginning. ↑ Meeks, Robert (October 2, 2009). "L.B. Comic Con: It's Stan Lee Day!". Insidesocal.com. Archived from the original on January 17, 2012. Retrieved April 27, 2010. ↑ McMillan, Graeme (July 16, 2017). "Jack Kirby to Be Named 'Disney Legend' at D23 Expo in July". The Hollywood Reporter. Archived from the original on November 16, 2017. Retrieved July 16, 2017. ↑ "Stan Lee imprints his hands and feet in concrete at TCL Chinese Theatre". ABC News. July 19, 2017. Archived from the original on March 1, 2018. ↑ "TV: Video Highlights from the 2009 Spike TV Scream Awards". Bloody-disgusting.com. October 21, 2009. Archived from the original on October 10, 2012. Retrieved April 27, 2010. ↑ Christiansen, Jeff (February 15, 2014). "Stan Lee (as a character)". The Appendix to the Handbook of the Marvel Universe. Archived from the original on February 22, 2014. ↑ Brick, Scott (March 2007). "Alex Ross". Wizard Xtra!. p. 92. ↑ Jensen, K. Thor. "Jack Kirby's Greatest WTF Creations". UGO.com. Archived from the original on May 23, 2013. Retrieved May 31, 2012. ↑ Lott, Rod (July 18, 2006). "Q&A with The Chinatown Death Cloud Peril's Paul Malmont". Bookgasm.com. Archived from the original on January 18, 2012. ↑ Kelly, Stuart (October 25, 2013). "The Violent Century by Lavie Tidhar – review". The Guardian. Archived from the original on October 31, 2013. Retrieved January 5, 2014. ↑ Chris Hewitt; Al Plumb (April 29, 2015). "Stan Lee's Marvellous Cameos – Now With Even More Cameos". Empire. Retrieved December 7, 2017.